Electroplating is a process that uses electric current to reduce dissolved metal cations so that they form a thin coherent metal coating on an electrode. The term is also used for electrical oxidation of anions onto a solid substrate, as in the formation silver chloride on silver wire to make silver/silver-chloride electrodes. Electroplating is primarily used to change the surface properties of an object (e.g. abrasion and wear resistance, corrosion protection, lubricity, aesthetic qualities, etc. ), but may also be used to build up thickness on undersized parts or to form objects by electroforming. The cations associate with the anions in the solution. These cations are reduced at the cathode to deposit in the metallic, zero valence state. For example, for copper plating, in an acid solution, copper is oxidized at the anode to Cu2+ by losing two electrons. The Cu2+ associates with the anion SO42− in the solution to form copper sulfate. 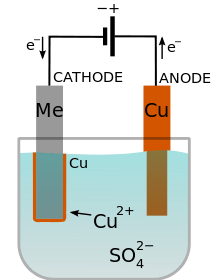 At the cathode, the Cu2+ is reduced to metallic copper by gaining two electrons. The result is the effective transfer of copper from the anode source to a plate covering the cathode. The ability of a plating to cover uniformly is called throwing power; the better the "throwing power" the more uniform the coating. Electrochemical deposition is generally used for the growth of metals and conducting metal oxides because of the following advantages: (i) the thickness and morphology of the nanostructure can be precisely controlled by adjusting the electrochemical parameters, (ii) relatively uniform and compact deposits can be synthesized in template-based structures, (iii) higher deposition rates are obtained, and (iv) the equipment is inexpensive due to the non-requirements of either a high vacuum or a high reaction temperature. In principle any hydrogen-based reducer can be used although the redox potential of the reducer half-cell must be high enough to overcome the energy barriers inherent in liquid chemistry. Electroless nickel plating uses hypophosphite as the reducer while plating of other metals like silver, gold and copper typically use low molecular weight aldehydes. A major benefit of this approach over electroplating is that the power sources and plating baths are not needed, reducing the cost of production. The technique can also plate diverse shapes and types of surface. The downside is that the plating process is usually slower and cannot create such thick plates of metal. As a consequence of these characteristics, electroless deposition is quite common in the decorative arts. Electroplating changes the chemical, physical, and mechanical properties of the workpiece. An example of a chemical change is when nickel plating improves corrosion resistance. An example of a physical change is a change in the outward appearance. An example of a mechanical change is a change in tensile strength or surface hardness which is a required attribute in tooling industry. Electroplating of acid gold on underlying copper/nickel-plated circuits reduces contact resistance as well as surface hardness. Copper-plated areas of mild steel act as a mask if case hardening of such areas are not desired. Tin-plated steel is chromium-plated to prevent dulling of the surface due to oxidation of tin. 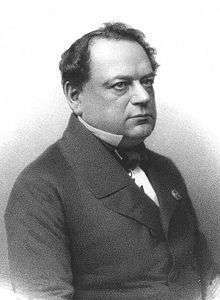 Modern electrochemistry was invented by Italian chemist Luigi Valentino Brugnatelli in 1805. Brugnatelli used his colleague Alessandro Volta's invention of five years earlier, the voltaic pile, to facilitate the first electrodeposition. 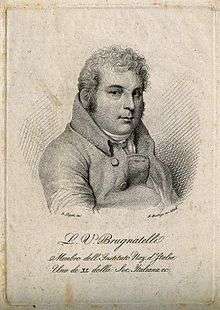 Brugnatelli's inventions were suppressed by the French Academy of Sciences and did not become used in general industry for the following thirty years. By 1839, scientists in Britain and Russia had independently devised metal deposition processes similar to Brugnatelli's for the copper electroplating of printing press plates. Electroplating is widely used in various industries for coating metal objects with a thin layer of a different metal. The layer of metal deposited has some desired property, which the metal of the object lacks. For example, chromium plating is done on many objects such as car parts, bath taps, kitchen gas burners, wheel rims and many others for the fact that chromium is very corrosion resistant, and thus prolongs the life of the parts. Electroplating has wide usage in industries. It is also used in making inexpensive jewelry. Electroplating increases life of metal and prevents corrosion. The Haring-Blum Cell is used to determine the macro throwing power of a plating bath. The cell consists of 2 parallel cathodes with a fixed anode in the middle. The cathodes are at distances from the anode in the ratio of 1:5. The macro throwing power is calculating from the thickness of plating at the two cathodes when a dc current is passed for a specific period of time. The cell is fabricated out of Perspex or glass. ↑ Dufour & 2006 IX-1. ↑ "US Mint Virtual Tour". US Mint. ↑ "Pollution Prevention Technology Profile Trivalent Chromium Replacements for Hexavalent Chromium Plating". Northeast Waste Management Officials’ Association. 2003-10-18. Archived from the original (PDF) on 2010-08-06. ↑ Gal-Or, L.; Silberman, I.; Chaim, R. (1991). "Electrolytic ZrO2 Coatings: I. Electrochemical Aspects". J. Electrochem. Soc. 138 (7): 1939. doi:10.1149/1.2085904. ↑ Ju, Hyungkuk; Lee, Jae Kwang; Lee, Jongmin; Lee, Jaeyoung (2012). "Fast and selective Cu2O nanorod growth into anodic alumina templates via electrodeposition". Current Applied Physics. 12: 60. doi:10.1016/j.cap.2011.04.042. ↑ Chandrasekar, M. S.; Malathy Pushpavanam (2008). "Pulse and pulse reverse plating—Conceptual, advantages and applications". Electrochimica Acta. 53 (8): 3313–3322. doi:10.1016/j.electacta.2007.11.054. ↑ Todd, Robert H.; Dell K. Allen; Leo Alting (1994). "Surface Coating". Manufacturing Processes Reference Guide. Industrial Press Inc. pp. 454–458. ISBN 0-8311-3049-0. ↑ Stelter, M.; Bombach, H. (2004). "Process Optimization in Copper Electrorefining". Advanced Engineering Materials. 6 (7): 558. doi:10.1002/adem.200400403. ↑ Metal Finishing: Guidebook and Directory. Issue 98. 95. 1998. p. 588. 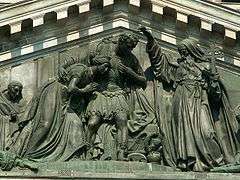 ↑ Bard, Allan; Inzelt, Gyorgy; Scholz, Fritz, eds. (2012). "Haring-Blum Cell". Electrochemical Dictionary. Springer. p. 444. doi:10.1007/978-3-642-29551-5_8. ISBN 978-3-642-29551-5. ↑ Wendt, Hartmut; Kreyse, Gerhard (1999). Electrochemical Engineering: Science and Technology in Chemical and Other Industries. Springer. p. 122. ISBN 3540643869.